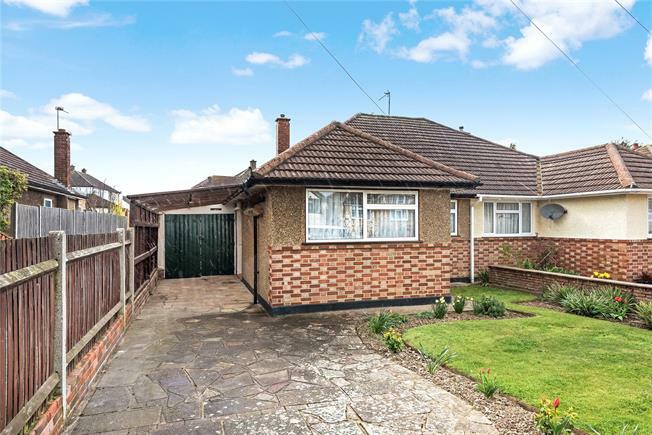 2 Bedroom Semi-Detached Bungalow For Sale in Orpington for Asking Price £325,000. This semi-detached bungalow is situated in a peaceful cul-de-sac less than a mile from Orpington town centre. Access to shops and facilities is made easy thanks to the bus route that runs close by. The accommodation includes two double bedrooms at the front of the property and a lounge/diner to the rear, plus a conservatory overlooking the garden. There is a fitted kitchen and bathroom with access from the hallway. Outside, the rear garden enjoys a westerly aspect and has areas of lawn, patio and flower beds plus a storage shed. At the front, there is a driveway for off street parking and this leads to a useful car port and attached garage.